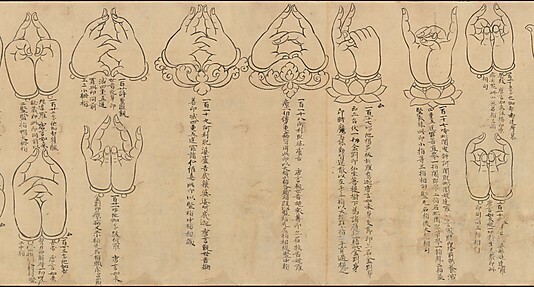 This handscroll depicts hand gestures known as mudras in Sanskrit, the Indian language in which many early Esoteric Buddhist texts were written. 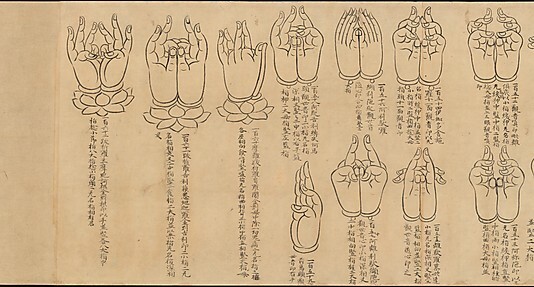 In Japan, the gestures are called insō, the Japanese term for a Chinese word that combines the characters for ‘seal’ and ‘form.’ In Esoteric Buddhism, mudras are physical enactments of ultimate truths revealed through the Buddha and other deities. 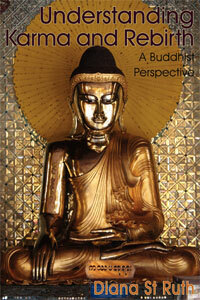 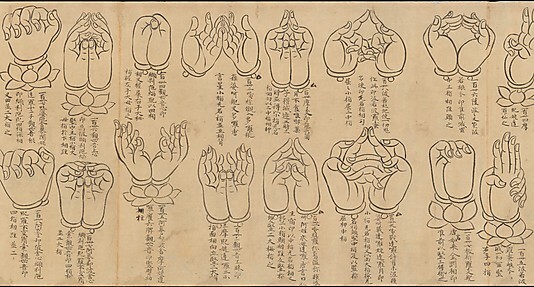 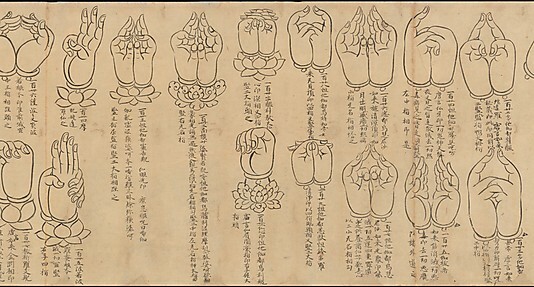 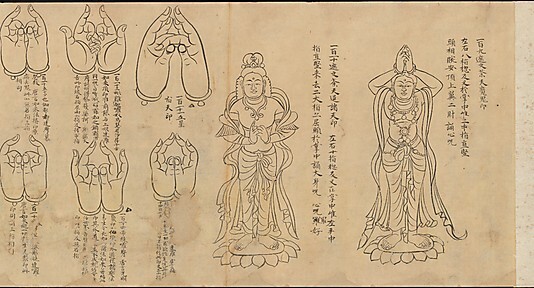 Practitioners of Esoteric Buddhism in Japan form mudras during meditation and rituals and use them to interpret the meaning of painted and sculpted Buddhist images. 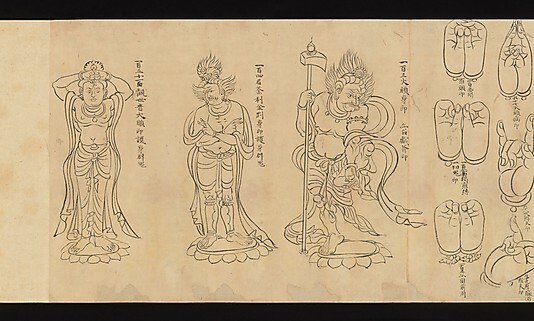 This scroll was passed down in the Kyoto temple Shōren-in, a Tendai School temple traditionally administrated by imperial princes who had taken religious vows. 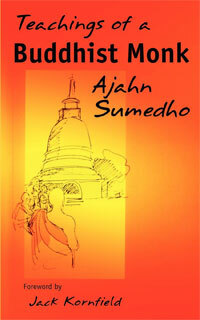 PITY IT DOES’NT TELL YOU WHAT THEY MEANT! 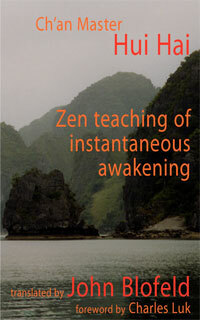 Is there any way to find out? 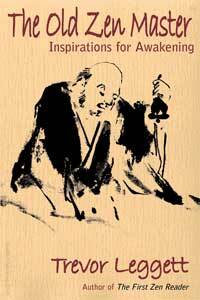 One in particular I’m interested in. 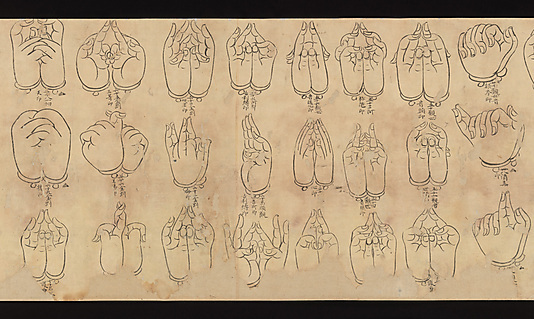 I’m interested in DP234314, (3rd down on the right) 4th Mudra from the left. 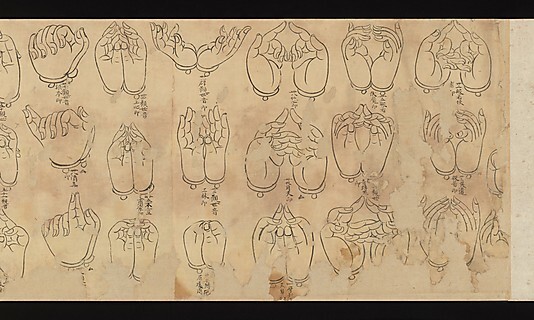 Backs of the hands together. 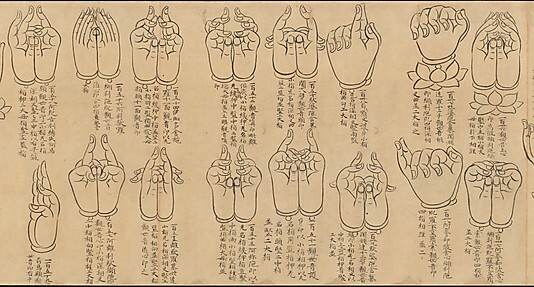 My Chinese reading mate says it’s bit hard for him — HELP, anyone out there who can do a translation?